Are you looking for some holidays where rest and relaxation are the protagonists for your next break? Cross the pond and come and enjoy a unique destination such as Punta Cana, a perfect place to play golf and enjoy the beach and wild settings. If you want to experience some amazing holidays, discover our offers on flights to Punta Cana at the most affordable prices on the whole market and enjoy your voyage to the Caribbean to the full. As we all already know, Punta Cana is one of the beach destinations par excellence throughout the Caribbean. With magical coasts and the best waters in the world, this Dominican city is one of the most visited Caribbean destinations in the world. 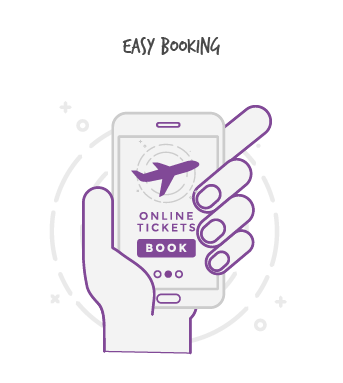 If you want to enjoy good all-inclusive holidays this year, then you cannot miss the opportunity to book your flights with us now. The Caribbean awaits you this year with arms wide open thanks to our cheap flights to Punta Cana. This small Dominican region will welcome you with some of the best beaches in the world, which you cannot miss on your holidays to the city. Pay attention to what we are going to tell you so you don’t miss a detail of Punta Cana’s best beaches. The coasts of Punta Cana that you cannot miss. Of course, this city stands out for the incredible and globally recognised Playa Bávaro, undoubtedly one of the best on the whole planet. Its turquoise waters and its beautiful, fine white sand are its greatest attractions, all surrounded by wonderful palm trees that will give your day on this beach a tropical touch. Discover our Punta Cana flight offers now and enjoy your holidays. Although this is its main beach, you cannot miss other coastlines either, such as that of Playa El Cortecito, a small, tranquil beach with different places to have a drink, the Playa Rincón, three kilometres of white sand and beautiful palm trees that have earned it its place among the top 10 beaches in the Caribbean, the Playa Arana Gorda, which, although small, conceals great charms, or the Playa Macao, the most northern beach in the region and perfect for surfing or spending a wonderful day enjoying the views of the Caribbean Sea. 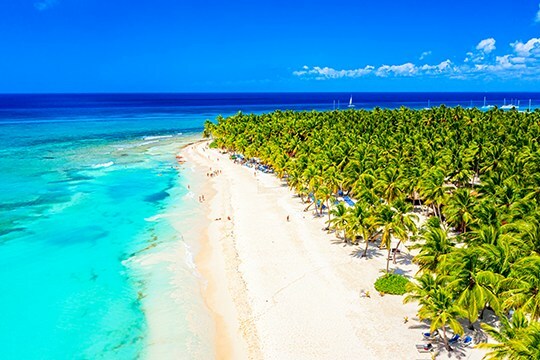 So there you have it, these beautiful beaches await you in Punta Cana, are you really going to turn down Wamos Air’s offers? Come to this fairytale destination and spend some brilliant holidays. This year you deserve some great holidays with children and we have the best destination for it, Punta Cana. This beautiful Caribbean location will provide you all you need to make the most of your summer days with your loved ones. Activities, areas for children and theme parks await you. Book now and surprise everyone with some unforgettable holidays in Punta Cana. 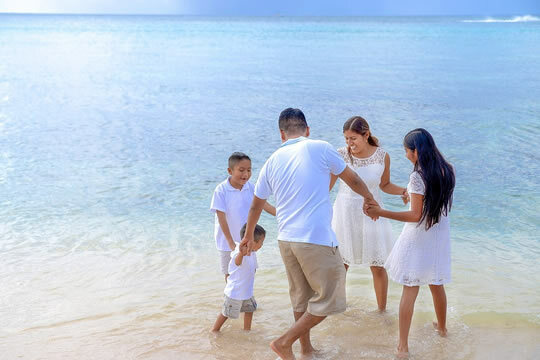 Punta Cana is an ideal destination to travel with the whole family, as it boasts a tourist offer dedicated to everyone. You will be able to enjoy excursions, themed areas and different activities that will make these holidays a truly unforgettable experience. Your loved ones will enjoy this great trip to Punta Cana. 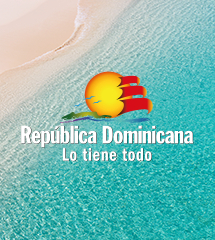 The activities most that will most excite the little ones include the theme parks located in this Dominican region. For example, you can go to experience the fantastic depths of the sea with the wonderful dolphins at the Dolphin Explorer, a centre where you will be able to enjoy these animals in their natural environment, or visiting the Marinarium, where excursions are organised for all on the reefs of Punta Cana. 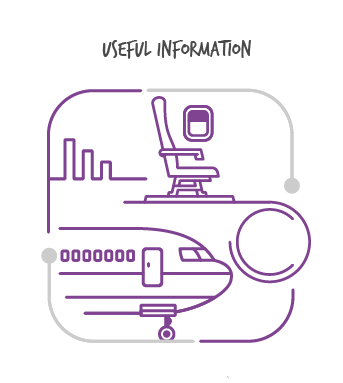 Book these holidays now thanks to our cheap flight offers. But to spend an adrenaline-filled day, you must go to the Bávaro Adventure Park, a park that organises many activities such as horse rides, paintball or ecological tours, among many others, or let your hair down with the little ones at the Sirenis Aquagames, an incredible centre where, apart from spas and relaxation areas, you will find amazing water slides. Make the most of these Wamos Air flight offers to Punta Cana now to enjoy all this. Other interesting areas to visit with the little ones include the Manatí Park or the Ojos Indígenas Ecological Park, two natural zones where you can take in the beautiful landscapes and the flora and fauna of Punta Cana. Two essential stops on your trip to this Dominican city. To finish, if you want to enjoy the best waves in Punta Cana, you must go to Macao Surf Camp, where you will be able to rent the necessary equipment to spend a day with your friends and family on top of the board. 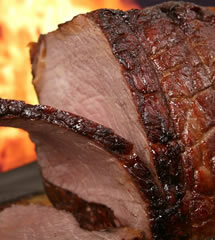 Punta Cana, like the rest of the Dominican Republic, boasts that it has a varied and enviable gastronomy. If you are going to spend your holidays there this year, we advise you to go to its bars and restaurants to sample its best dishes. You will discover a cuisine full of new flavours and with quality worthy of commendation. Enjoy your holidays with the best Dominican dishes. 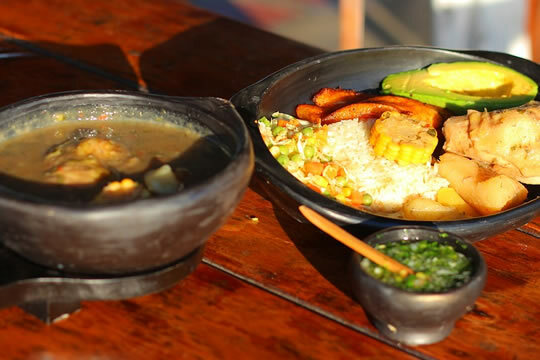 Within Punta Cana's cuisine you will find great influences from the Spanish, Taino, an ancient civilisation that inhabited this region, and even African culture, and so its diversity is one of its greatest strengths. This variety makes the gastronomy of this region and the rest of the country unique and very diverse at the same time, undoubtedly characteristics that have made it one of the best cuisines in the Caribbean. Book our Punta Cana flight offers now and enjoy the best gastronomy! Sansoncho, one of the most popular dishes in Punta Cana. The dishes that you cannot miss on your visit to the city notably include Sanconcho, one of the most typical and robust soups prepared with different meats, vegetables, tubers and spices; Asopao, another delicious soup made with rice, chicken and pigeon peas, a typical legume of the Dominican Republic; Moro, which is a dish made of rice, beans and beef stewed in advance; Locrio, another rice dish, but this time accompanied by prawns, cod or other types of fish; Puerco Asado, one of the most popular meats; or Pica Pollo, fried chicken served with potatoes. But to finish your meal with a great taste in your mouth, there is nothing better than trying this city’s delicious desserts, such as Habichuelas con Dulce, a sort of bean cream with sugar, milk and raisins; Majarete, another cream, but corn and cinnamon based; or Dulce de Cajuil, a sweet mostly made of cashew nuts. With desserts such as these, you will be able to finish your culinary day enjoying the best dishes of Punta Cana. As well as enjoying the sun and sea on the beaches of Punta Cana, you will also be lucky enough to be able to partake in numerous water sports that you are sure to love and with which you will spend a fun day with your friends and family. Come with us to enjoy this beautiful city and have a great time enjoying all these activities. Punta Cana is a city in which you will be able to make the most of your holidays. In it, you will be able to try numerous water sports suitable for all ages. Thus, you will be able to enjoy Punta Cana in a different way and discover some of its most stunning and secluded landscapes. Are you up for a day of adventure in this Dominican region? 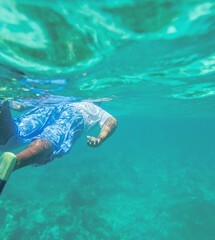 Discover the marine depths of Punta Cana. 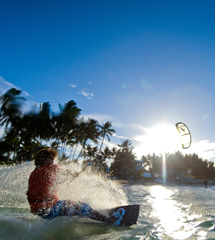 If you like surfing or its different types, you will be able to put your skills on the board to the test on your holidays in Punta Cana, as you will have different clubs in which to rent the necessary equipment for surfing, kitesurfing or windsurfing, depending on what you like most. You will find areas with perfect waves for both beginners and experts, so you have no excuse to turn down a day of surfing. 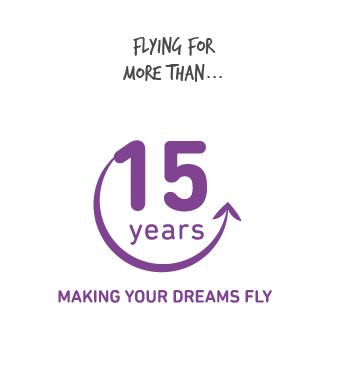 Discover Wamos Air’s offers to this destination! 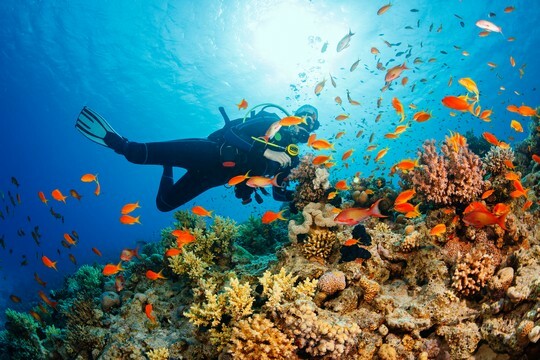 Another one of the most popular activities in Punta Cana's water is diving or snorkelling. Throughout the coast you will find ideal areas for this sport, as the reefs and depths close to the city are truly beautiful and boast a rich marine biodiversity. Encounter this really incredible experience thanks to the offers of cheap flights to Punta Cana! There is also another type of sports such as sport fishing, which you will be able to try in different modalities and which will allow you to better experience the city’s fishing culture and, in turn, sample the freshest fish you have ever tasted. You cannot miss the opportunity to rent a small boat or kayak and access incredible places on board these vessels. Punta Cana is another one of those fairytale destinations that are worth visiting at least once. It is a Dominican Republic destination where you will find some of the most spectacular and incredible beaches in the world. You don't need to look for many reasons to enjoy a fairytale environment such as this, so don't delay and book your cheap flights to Punta Cana. This Dominican territory is acclaimed at international level due to its idyllic beaches, which will make you feel like you have reached true paradise. Its beautiful beaches will become the greatest attraction to disconnect from routine for a few days and enjoy the lushest, most tropical setting, as most of its beaches are surrounded by the wildest, completely green spaces. Its vast coast will allow you to enjoy amazing landscapes, with a mix of the brightest colours, unveiling genuine landscape gems. If you are someone who cannot lie quietly on a sun lounger, you should know that this territory boasts endless activities to have a great time. From safaris and boat trips to enjoying different water sports. Golf fans will also find the perfect setting to fine tune their swing in this territory. If you are a golfer, you can continue enjoying your favourite sport on your next holidays while taking in the best sea views. As you can see, you will have very fun plans leaving you no time to get bored. Whatever activity you choose, you are sure to have a great time given that this territory offers the necessary conditions to squeeze the most out of each moment. So stop agonising and choose your preferred activity to make the most of these summer days in Punta Cana. To continue enjoying this Caribbean destination, pluck up the courage to dance to the Latin rhythm in its many pubs and bars, where you will enjoy very fun shows until the small hours of the morning. Choose your cheap flights to this destination now and enjoy some great all-inclusive holidays this year. You must not miss a date with its gastronomy either, where you will sample the most typical dishes in its bars and restaurants. As expected, most of them are full of shellfish and so you will not be able to resist these traditional delicacies of the zone, which will leave you feeling like you are in heaven. This is only an example of what you can find with our offer of flights to Punta Cana, where you will encounter endless amazing experiences.